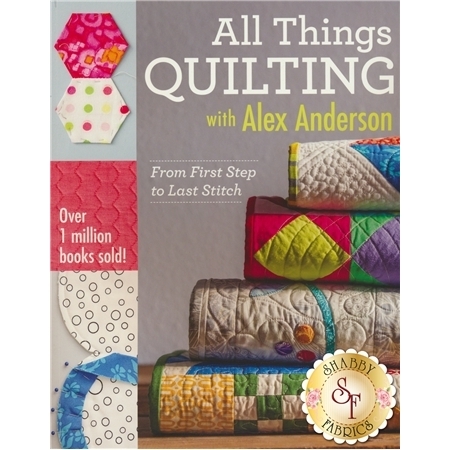 This book is the ultimate “Go To” resource guide for All Things Quilting – The Alex Anderson way! 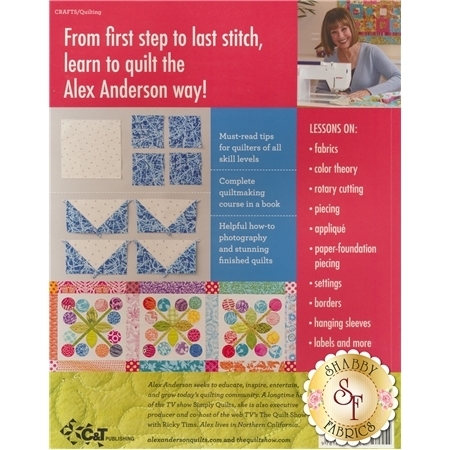 From your first step to your last stitch this wonderful book covers everything for today’s quilter. Some of the lessons covered are: applique all ways, the ins and outs of piecing, settings and borders, machine and hand quilting, drafting, hexie magic, foundation paper piecing, and how to choose and use fabric and color!